Mwenda Ntarnagwi’s talk at Northwestern University on Monday Oct. 25, 2010 reminded me of another similarly engaged work of scholarship: Gerald Horne’s book “Mau Mau in Harlem”. Horne devotes a significant section of the book to Malcolm’s linkage of the revolutionary black struggle in America during the 1960s with the Land and Freedom Armies of Kenya (the so-called “Mau Mau”) who retreated into the highland forests and engaged in guerilla warfare against white settlers and their black collaborators. The ideological nodes connecting these diverse expressions of liberation have given birth to the term “black internationalism” in the extant historical literature. Ntarangwi drew our attention to other points on this node in his talk on “Globalization, Hip Hop and Youth Agency in East Africa”. Drawing on stories of survival and livelihood amidst the fallout from World Bank and IMF programs of neo-liberal structural adjustment, Ntarangwi detailed how economic liberalization in East Africa created both severe socio-economic dislocation and the opportunity to access Western pop culture on newly unprecedented levels through circulated tapes and videos of hip hop films such as “Breaking 2” and the music of Michael Jackson and other eighties and nineties African American pop stars. Hip hop was part of a whole generation of youths’ attempts to craft an East African modernity in response to chronic underemployment, the movement of immigrants into new economic niches, and newly available communication technologies—a situation, Ntarangwi pointed out, not unlike the conditions which gave birth to hip hop in the South Bronx. Ntarangwi played samples of the song “Uhiki” or “Wedding” by the Kenyan artist Hardstone, featuring rapping in Kikuyu over a sample of Marvin Gaye’s “Sexual Healing” and Swaleh Jay’s remix of “Ice Ice Baby” in Swahili, which itself infamously sampled Queen and “Under Pressure” by David Bowie and Queen. “Under Pressure” was released only a year before “Sexual Healing”, thus revealing some of the hybrid geneaologies of hip hop in East Africa and its emergence out of 80s and 90s American popular cultural forms. Hip hop in East Africa, according to Ntarangwi, is a particular mode of youth political expression that emerged to allow African youth to become more active participants in culture making and astute critics of the political order by making sounds and messages from global black culture part of their local cultural repertoires. 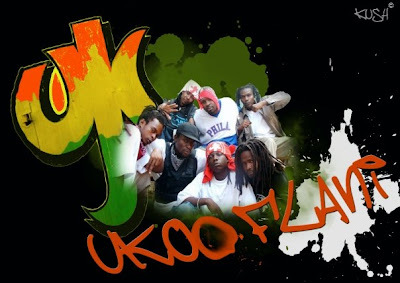 For example, in crafting a political approach to their music, groups like Kalamashaka in Kenya explicitly reappropriated the sights and sounds of African liberationists through the lens of black internationalism. In their song “Ni Wakati” Kalamashaka sample Malcolm’s famous speech “Message to the Grassroots”, which speaks of Mau Mau as “black revolutionaries in Africa”. In Kenya, where the Mau Mau fighters were not even acknowledged as part of the force which helped to liberate Kenya after independence, and where their protests over land were met with silence and marginalization, Kalamashaka’s songs and messages were an important part of rehabilitating the image and message of Mau Mau fighters. In contrast to the neocolonial collaboration of Kenya’s ruling class, the Mau Mau symbolized to Kalamashaka the same values that politically conscious East African hip hop embodied—speaking from the margins, witnessing truth to power, and calling for a radical return to social justice and redistribution of wealth as well as access to education. Another important node in East African hip hop’s links to black internationalism and the black diaspora goes through the Black Panthers. In 1969, Pete O’Neal, the chairman of the Kansas City Chapter of the Black Panther Party was arrested for allegedly transporting a gun across state lines. O’Neal resolved not to become another victim of FBI director J. Edgar Hoover’s covert and illegal war against the Panthers and fled to Algeria and then Tanzania with his wife Charlotte. In Arusha, Tanzania, they founded the United African Alliance Community Center in the spirit of Black Panther activism, offering food, education and services to the community free of charge. In 2008, while visiting with a group of students from Howard University, we recorded a song in UAACC’s homemade studio with a producer/emcee who Pete and Charlotte have helped to nurture. The Center, I learned, also has a close relationship with Kalamashaka (now known as Ukoo Flani), and has nurtured the talent of Tanzanian singer Nakaaya Sumari, who was at one point married to M1 (they have since separated). Nakaaya met M1 while working on “Mr. Politician”, her popular critique of vote-seeking vultures in East Africa. Ntarangwi played several other hip hop critiques of corrupt politicians. In Tanzania, where President Jakaya Kikwete also appears poised to win re-election despite critiques that he made extravagant campaign promises, the relevance of Tanzanian rapper Profesa Jay’s critique of Tanzanian politics is especially germane. In “Ndio Mzee” (Yes Sir) and its follow up “Kikao Cha Dharura” (Emergency Meeting) Profesa Jay sketches a political speech made by an aspiring office-seeker in which he promises, among other things, to end poverty, establish schools on the moon, and give every member of the police force a helicopter. In the followup song, the politician finds himself confronted by his constituents post-election and is forced to back track on many of his promises. For instance, he has done research he says, and “its quite cold on the moon, and plus I hear Osama bin Laden has camps there.” He ends by promising to fix everything, if only his constituents will elect him again. The conversation after the talk ranged far and wide. Professor D, a Ph.D. student in African American studies at Northwestern, and a member of the African hip hop working group, asked Ntarangwi to clarify his use of the term ‘youth’ and his use of the term ‘hip hop.’ From there, discussion ranged over East African b-boys and b-girls, how to model being a ‘hip hop scholar’ on the continent, and the various local genres of hip hop expression in Kenya, Uganda and Tanzania. Fittingly, the night ended with a two hour knowledge cipher at Giordanos with two young Chicago emcee/poets, myself, Professor D and Ntarangwi. The conversation ranged from Kanye’s latest release to Illuminati and the New World Order. In convening these spaces at Northwestern throughout the year, under the auspices of the African hip hop project, our goal more than anything is to create the energy and impetus for these kinds of dialogues that give young people a chance to see themselves as nodes on this transnational network of the “global hip hop imaginary”. I appreciate Professor Ntarangwi for making it possible through his scholarship. If you’re interested in reading more, you can buy the book here.